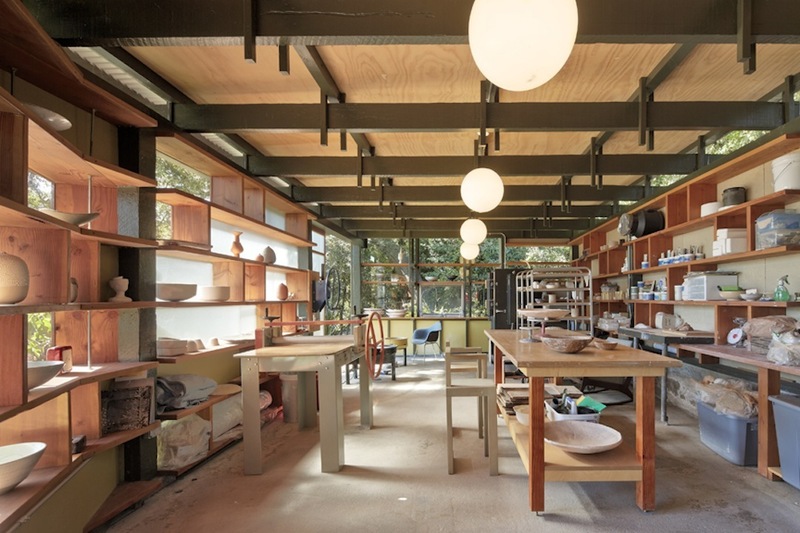 Built on the skeleton of posts and beams of an existing pergola, the Ceramics Studio’s enclosure consists of glazing applied directly to shelves that are suspended between the original columns. 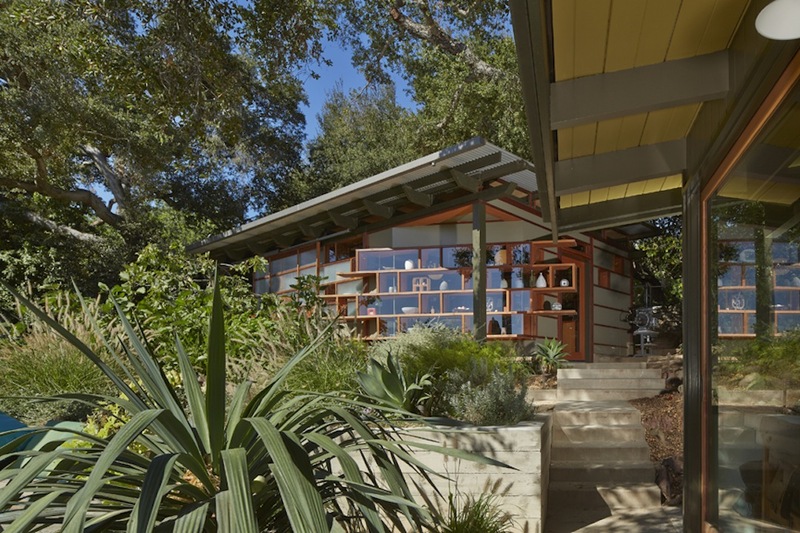 This system provides ample storage, natural light and filtered views by day, and transforms into a glowing vitrine of pots and artifacts by night. 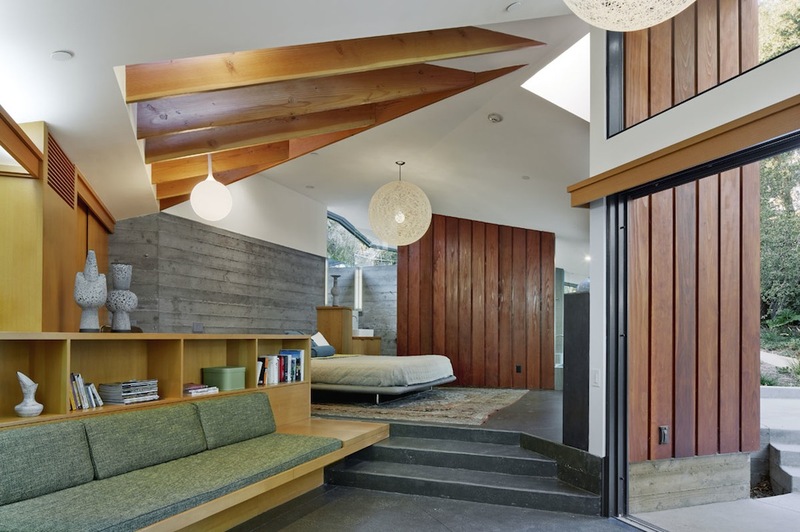 A bank of shelves breaks free of the rectilinear footprint to respond to the geometry of the main house. 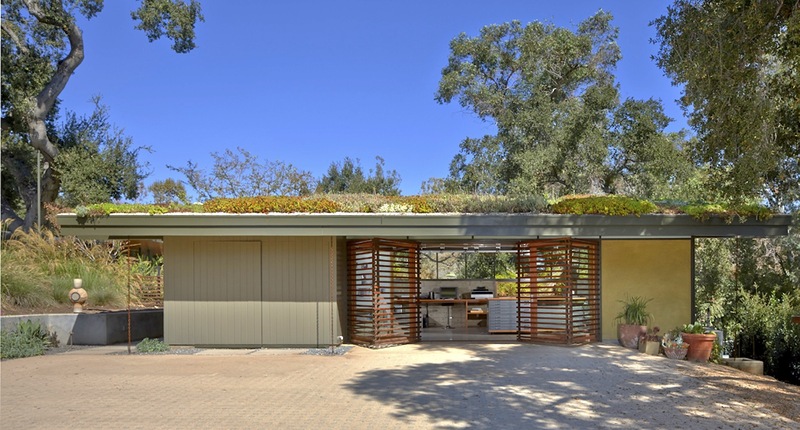 The resulting exterior display ledges eccentuates the dematerialized nature of the pergola, and defines a kitchen garden court for outdoor living. 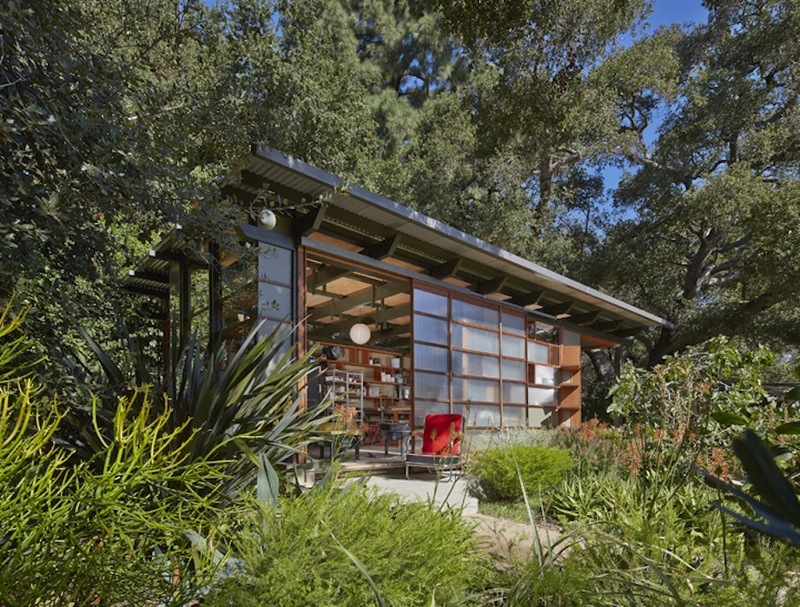 Sited at the parking court, the Library-studio marks a gateway to the interior of the property. 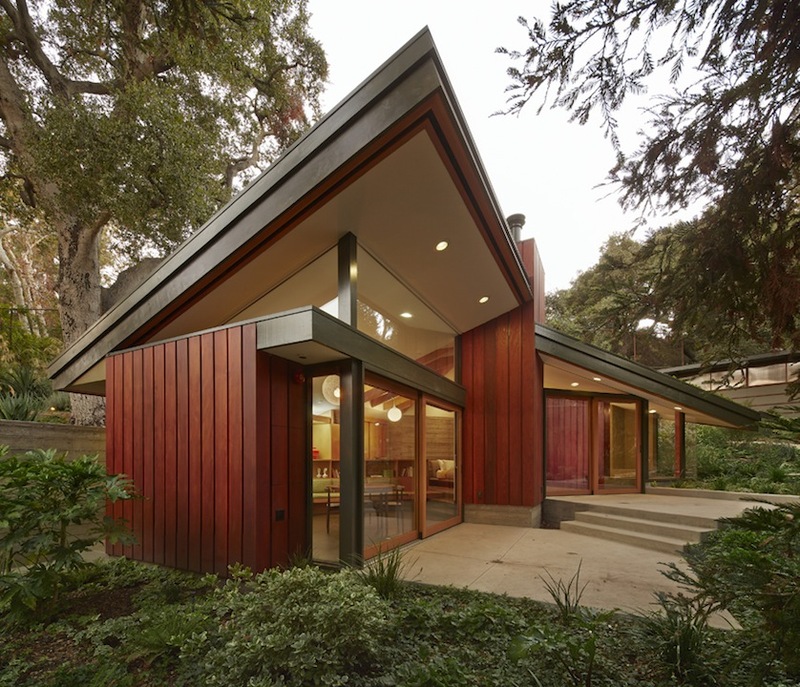 Taking its geometry from the main house, its matching roof slope rises to accommodate a tall canted wall of north-facing glass that surrenders to the view of sheltering oaks. 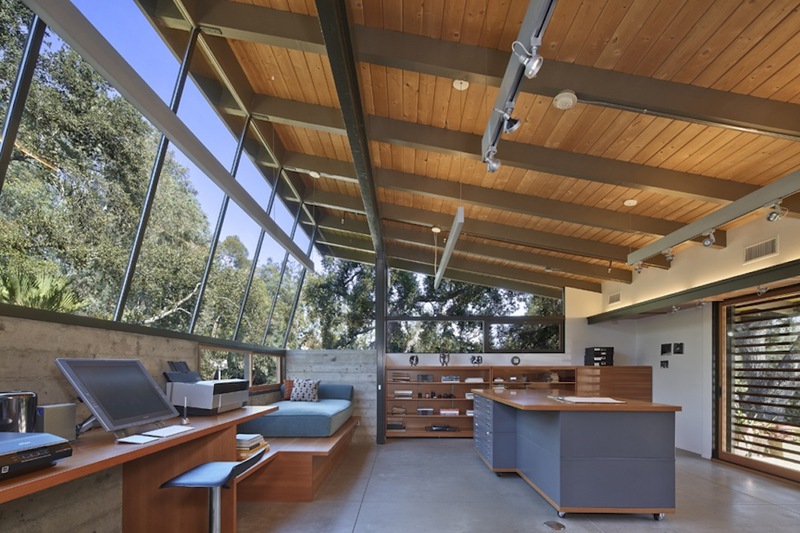 Movable flat storage, retractable displays double-duty as work surfaces and bookshelves. 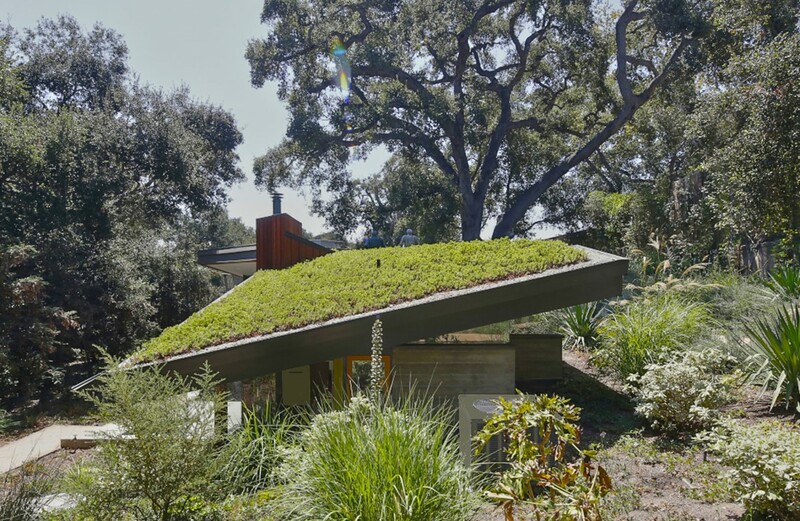 From the living room overlook, the building’s planted roof reads as a sloping tapestry of sedums floating beyond a foreground of grasses. 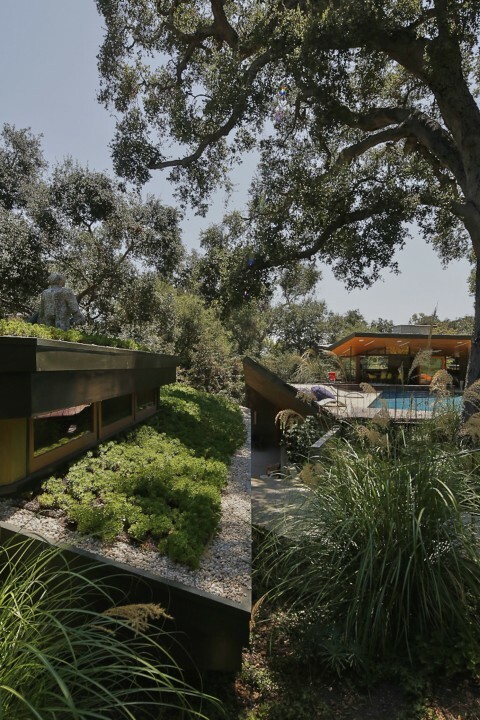 Located at a far corner of the property, the Guest House turns its back to the main house, revealing only its planted roofs. 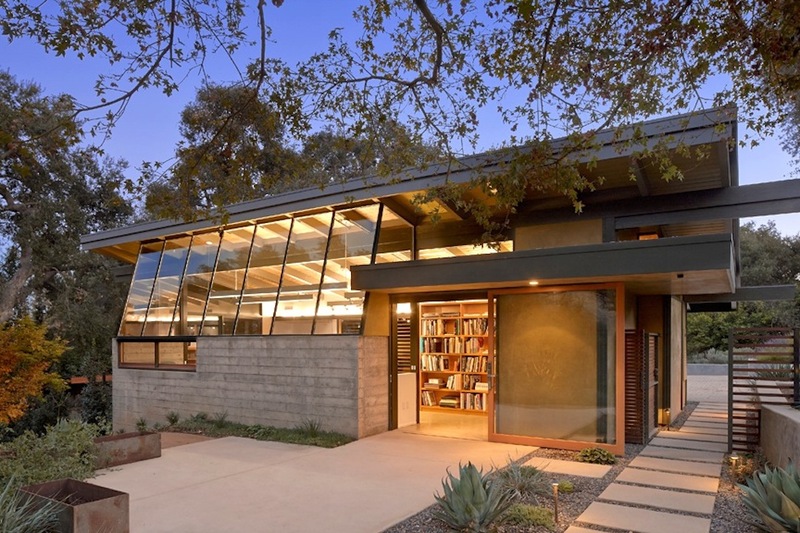 Approached through a passage tucked behind a retaining wall; the structure emphasizes seclusion, yet its airy interior opens through tall walls of glass to oak-shaded patios. 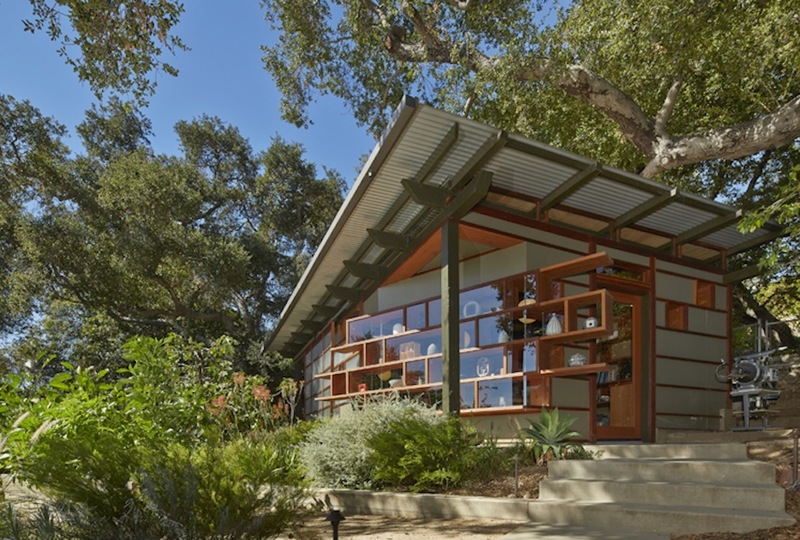 Fitted throughout with built-in furnishings, it is a compact, inviting and self-sufficient retreat.